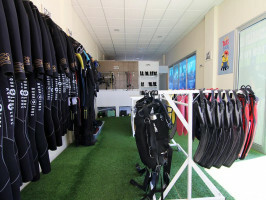 Blackstone Dive Center is a dive center located in the south of Tenerife that offers UTD and PADI courses, guided dives, snorkeling, try dive for your first experience and free dive. We are the first UTD facility center in the Canary Islands and the third one in Spain, our philosophy is to provide a different safest diving conscious; a thinking diver. 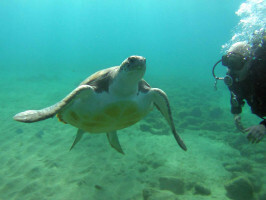 We offer courses from beginner to professional dive line. We offer our divers a service with good equipment and continuous renewal and a good customer service and quality facilities. Get ready to enjoy a privileged place for diving, all year round tropical temperatures and high visibility, you can dive with turtles and dolphins, while respecting the environment. 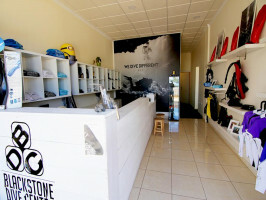 Blackstone Dive Center offers facilities for the comfort of their divers: classroom, hot showers, sweetened equipment area, changing rooms, lockers service, Wi-Fi, and a 100 m2 terrace where you can relax with our juices after your dive. Our Equipment consists of premium brands such as Aqualung, Suunto, Tecline and Squalo to give better service to our divers. As UTD facility center we offer hogarthiana / DIR configuration. 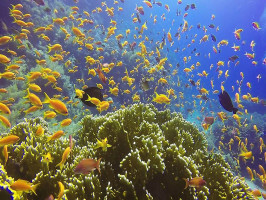 Test your first feelings, safe and fun, without prior experience to enjoy the marine fauna including equipment. For our youngest divers; from 8 years old can try diving in a controlled and calm environment up to a depth of 2m. And then we can talk about the experience and feelings under the water including equipment. Spanish, English, French, German, Polish. - Meeting point: Puerto Colón ,Costa Adeje dock nº1.